Last night I was not terribly certain what I would be doing with myself. 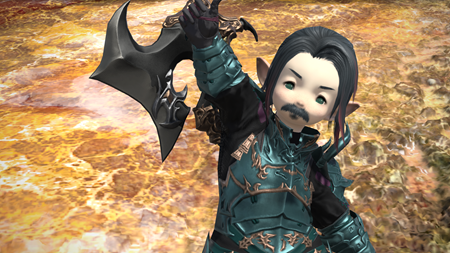 For the last several days I have been heavily focused on transmoggy things over in World of Warcraft, but on the same day that patch was released the newest patch landed in Final Fantasy XIV. Before I left work I saw Tam ask if anyone would be interested in taking a trip into the Palace of the Dead… or as he has begun referring to it the “Dankest Dungeon”. This had been something on my radar for a long awhile, with the theory being that you had a brand new leveling path for alts. I have an army of alts and honestly you can only manage so much FATE grinding before you need some other path. It seems like everyone on my server has gotten the same idea, because apparently to queue for the dungeon you have to be standing in Quarrymill. I snapped this photo last night but if you looked in any direction you would have seen pretty much the same density of players. In many ways this reminded me of the wall Revenant’s Toll felt on raid reset day. Neph wanted to play her Dark Knight, Tam his Black Mage, and Thalen his Machinist… which left me needing to do the team focused thing and play a healer. Anyone who knows me very well will know I am not really the best healer in the world. 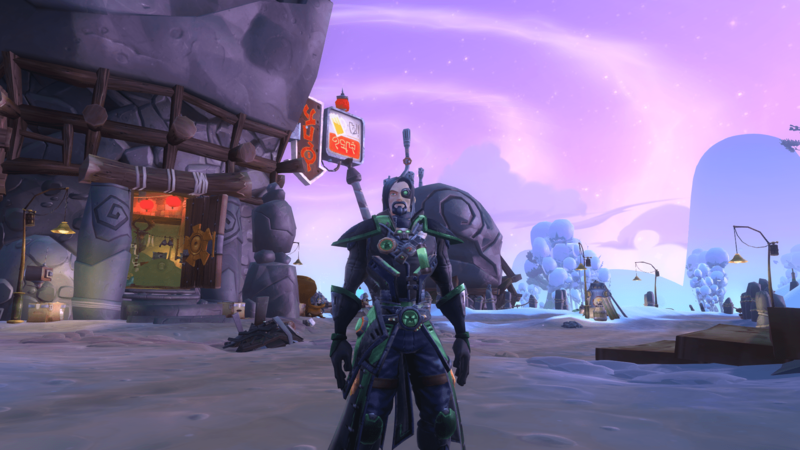 The irony there is that I started my MMO career in Everquest as a cleric… the go to healer for any serious content. I also feel that experience pretty much generated a massive mental block against ever wanting to do it again. Now I have had a White Mage for a good while, and actually enjoyed myself leveling that. However for whatever reason the Scholar class has never really clicked with me. 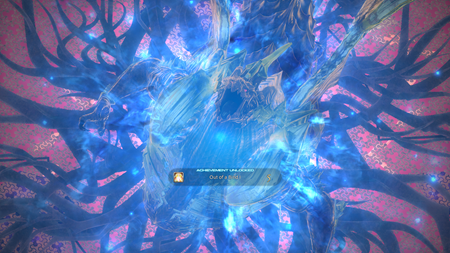 Before the launch of Heavensward I managed to get Arcanist to 30 and actually claim both the Scholar and Summoner jobs but pretty much stalled out shortly thereafter. I felt like I sucked at the class and simply stopped queuing for dungeons, because for ever Tam Tara there would be five Brayflox that I struggled to deal with. The interesting thing about the deep dungeon is how it has its own parallel leveling system, and how it apparently invents things that simply don’t exist. For example when you go in as a job… you don’t exactly get the path that you took to get to your level. For example I had Eos and Selene really quickly rather than my Carbunkle friends, which is I guess the same thing that happens when you get leveled down in a dungeon. 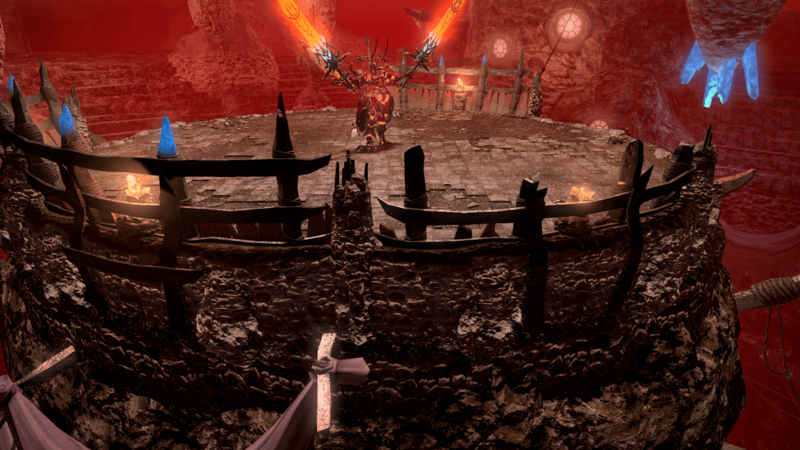 On the other side of the equation, Kodra commented about having a serious challenge dealing with trying to function in the dungeon as an Arcanist without the Scholar job. Arcanists play this strange role of not quite but almost healer, that I remember struggling with when I ran dungeons… because I was also note quite a dps. 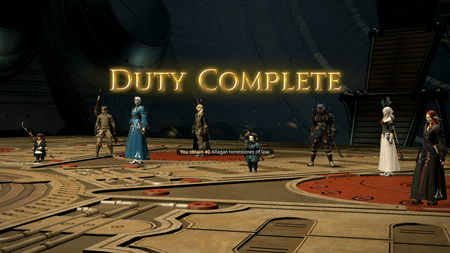 The early levels seem to heavily favor dps, with the last set that we completed before I was literally falling asleep at the keyboard… needing us to actually do proper group tactics to get through. So as you move through the dungeon there are chests that you open that do a bunch of different things. Firstly you get a shared group inventory that contains these items called Pomanders. These cause various effects both to buff your party, and to counter act the negative effects of the dungeon. For example there is one that shows the entire map so you can navigate to only the rooms that contain chests, or another that will disable all traps in a floor. There are still others that are designed to counter act very specific negative effects gained from certain encounters, like Pox that stops all health regeneration. This one is particularly nasty if placed on the tank… which it was for a significant period of time last night. The natural instinct for me is to clear every room, but you are timed from the moment you set foot inside and have sixty minutes to clear ten floors. At first this seems like an easy task, as we quickly breezed through the early levels. However once we got onto the third set of floors that timer started to make a big difference, and in theory you are given roughly six minutes per floor. 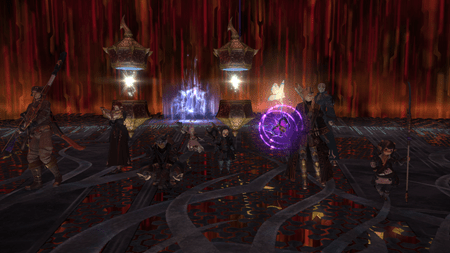 As a result we started pulling the levels in a minimal clear fashion with our dps fanning out at times to scout ahead and try and determine which path we should go down as a group. The name of the game is finding the blue and silver chests that contain “gear” upgrades… and by that I mean +1 to your arms and armor score which serve as the gear for the dungeon. The most interesting thing about the experience is how you gain your abilities during the normal arc that occurs as you level up. However for whatever reason I thought I would hit a ceiling and simply stop getting abilities when I hit level 31 which is what would have happened were I running dungeons. Instead I continued to move forward and am now in my 50s gaining heavensward scholar abilities that are unlocked through quests. So in theory this is a crash course in how to play your class… long before you actually get the abilities. As to whether or not this worked… I started out the dungeon run extremely rough and almost all of the healing was coming from Selene the murder fairy. As we moved forward I started to get the hang of it, and was using adlo like a mad man followed up with some direct healing. People died, a bunch… or at least more than I am happy with… and we ended up wiping on a really bad luck trap spawn. However as the night progressed I started feeling significantly more comfortable healing as a scholar. In theory I would feel much better stepping into a dungeon now than I did before last night. All in all I got roughly three levels which is a slightly faster progression rate than running dungeons, but not the sort of speed that is going to lead to a lot of chain power leveling. I had a lot of fun and just wished that we had been able to start earlier in the evening so that I could see the end of the dungeon. I definitely want to do this again soon. I am not exactly sure why but I have been obsessing over the whole concept of using my laptop downstairs as a remote thin client for my gaming machine upstairs. My grand hope has always been to be able to devote time and resources to the gaming machine, and just use any laptop in the house to play games remotely. After last night I think maybe I have it working as intended. For the last several days I have been struggling with Splashtop Personal, and in spite of lots of folks reporting good results with it… I never could get anything even vaguely close to playable. Namely the biggest problem was mouse lag, and when you are playing games that require mouse movement… this is a huge problem. I spent time crawling the forums, looking for answers and after trying a series of supposed registry hack fixes… the best I could ever seem to get out of Splashtop was something in the neighborhood of 25 fps which a more common stable 20 fps. Yesterday I installed a brand new AC1200 wireless card in my laptop, so that should literally rule out ANY connectivity issues. I was seeing 650 Mbps stable wireless and did not see any significant improvement in performance as a result. Now on the other hand… web surfing and downloading anything is now absolutely amazing… so I don’t regret the $20 spent on the new usb 3.0 wireless dongle. Now I said I thought I had solved it… but as to this point have talked nothing about the failures. What finally worked is Steam In Home Streaming… with some hackery. Steam Streaming has worked fine for steam games, but not every game that I want to play is on steam. The biggest elephant in the room is games on Origin, but I think I found a workaround for this one. 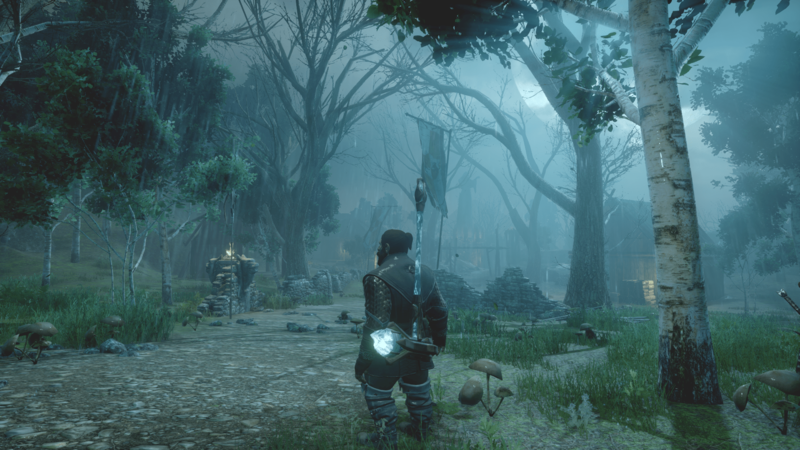 If you add Dragon Age Inquisition to Steam and attempt to launch it directly, it will fail every single time. However the workaround seems to be that you add the Origin launcher to steam and then remotely launch it… and while that window is up you can launch the game you want to play. The caveat is that you have to completely exit Origin after every game play session or it won’t actually work. As a result Splashtop Personal is coming in handy anyway as a way of making sure I do not have Origin running before heading into game. The same thing seems to work with the Battle.net launcher, and the Final Fantasy XIV launcher. Having steam open those gives you access to the application that you are actually wanting to play over the remote session. As far as performance goes, there was some strangeness with audio that I ultimately solved by setting both the client and “server” machine to 2 channel 16 bit 48000 hz audio. After that I was able to play Dragon Age Inquisition remotely with the exact same frame rate I was seeing sitting at my machine upstairs. I am guessing the new wireless made all the difference in the world because I could feel zero lag input, and it made for a pretty amazing experience. As a final thought if you want to play a steam game that does not have a launcher of its own… I have heard having steam open notepad.exe works the same. I just wanted to take a moment to talk about the upcoming episode of AggroChat that we will be recording Saturday night and releasing Sunday morning. After all of us had completed the 2.55 content, we recorded a full spoiler episode where we hashed out out ideas about what just happened and where the game would be heading. This week we plan on doing the same thing for the 3.0 story content to date as a preparation for whenever we receive 3.1. We had put off the show in an attempt to get as many people through the 3.0 story as possible, but at this point we figure the statute of limitations is officially up for these spoilers. I am mainly writing today because we are taking input from the community. There are several ways you can send us your ideas either through the aggrochat email or the aggrochat twitter account. Of if you feel more comfortable you can leave your thoughts below. Our goal is to talk through our own ideas and the ideas that we receive on air Saturday. There is a lot of stuff that happened between 2.55 and 3.0 and some of it had some pretty major ramifications for the games story. I’ve been extremely careful not to spoil too many details even with the screenshots that I use. That said there are things I just need to talk about. There are characters that we lost along the way, and new characters that we gained… and it is going to be good to finally be able to openly talk about all of this. The final cinematic for 3.0 sets up a brand new villain that we will likely be facing, and I have so many ideas on what that one is going to mean. Also there are less spoiler theories as well like this being the expansion of multiple element primals. If you think of Ravana, he is very clearly a mixture of Fire and Earth. Bismarck similarly is a mixture of wind and water. 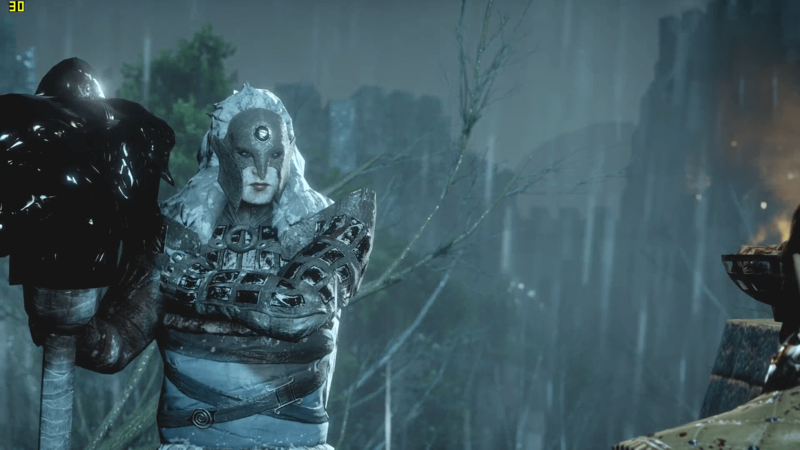 Would that make the next primal a mixture of Lightning and Ice? I cannot think of any existing summons from other Final Fantasy games that really fits that theme, so I am guessing they would be crafting a brand new one just for FFXIV. That only covers three primals however and I fully expect that each patch will have its own new one. So are we going to start seeing new elements, or are they going to tie directly into the new primary enemy that I mentioned above. Essentially… we have stuff to talk about and would love to have your input. The AggroChat game club game show is also quickly sneaking up on us, and I think of all of the hosts I am the only one who has yet to touch this months title. 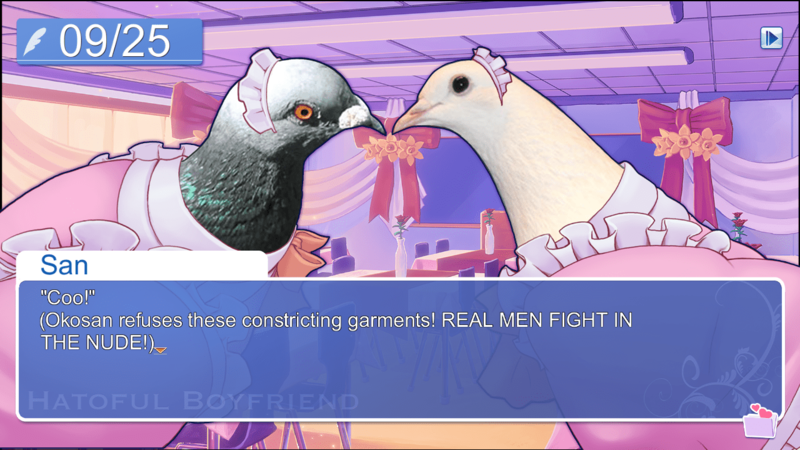 Grace picked Hatoful Boyfriend as the game of the month title, and I have to say at first I had a small bit of trepidation about this title. If you remember Kodra has gushed about this title numerous times and even streamed a bunch of his gameplay. I watched some of it… and it seemed like pure madness. At the core this is just not a me game, largely because there is not death and destruction. That said I am actually starting to look forward to finally giving this a try, because it DOES seem like pure madness. I could use a bit of surreal insanity in my life, and some of the possible endings sound so damned bizarre that I have to see them for myself. I’ve been largely putting off starting however because I thought it might be funny to stream my first moments in the game. As such I have been trying to find a time when my streaming would not be too much of a nuisance for my wife who is going through the normal “back to school” frustrations. It seems like tonight however might be an excellent time and right now I am planning on starting my stream at roughly 6 pm CST for anyone who wants to see me attempt to date some “birbs”. I plan on playing on voice activation so you can get all of my subtle responses and not just the ones that I want coming through over push to talk. I am not sure exactly what will happen, but I have a mixture of excitement and dread at the same time.